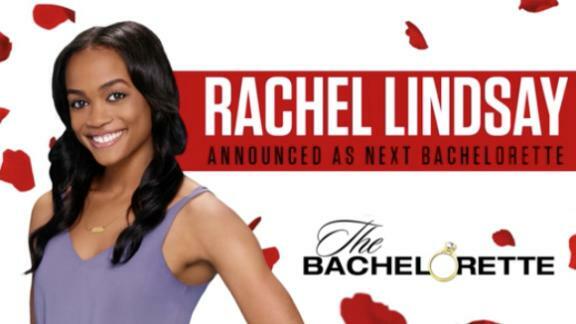 Rachel Lindsay stars in the 13th season of "The Bachelorette," premiering Monday, May 22 at 9 p.m. ET on ABC. 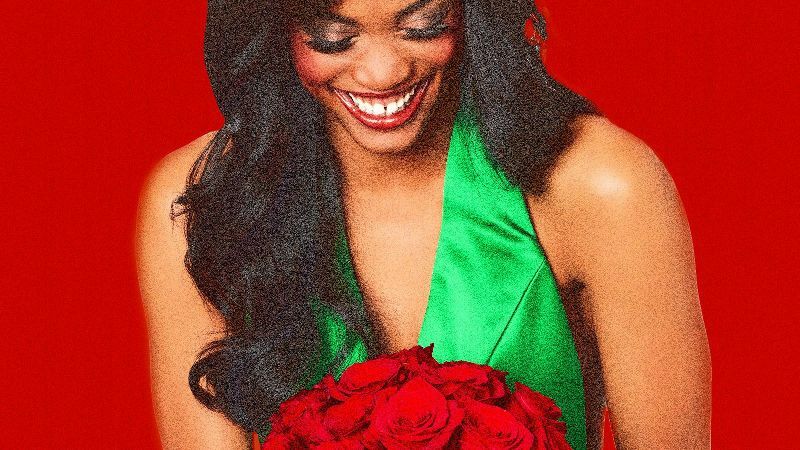 Rachel Lindsay is the bachelorette we've been waiting for. She's kind, warm and will make you believe in love again. Yep, you can say she's broken the mold. Lindsay was the third-place finisher on season 21 of "The Bachelor," where she was vying for Nick Viall's affections. However, everyone knew there was something special about the 31-year-old attorney, and fans wanted to see more of her. And on Monday night, she'll make history as the first black lead in ABC's "Bachelor/Bachelorette" franchise. The Dallas native spoke with espnW ahead of the show's premiere. Lindsay candidly discussed the upcoming season, her obsession with sports and how she feels about being the "first." espnW: How are you feeling as the season is getting ready to premiere? Rachel Lindsay: A little anxious. You don't know how people are going to take it all in, but I'm ready. The turnaround is quick. We just finished filming a week ago! espnW: There's been a lot of discussion about you being the first black "Bachelorette." What does this moment mean to you? RL: It's huge. It's very humbling to be the first. It was something that, I'll admit, I was scared to do. All the eyes on you, and people will have their opinions, and they'll be judging me, some for good and some for bad. Meanwhile, I'm trying to find love. That's a lot, and I didn't know if I wanted to go about it in this way. Then, I thought of the positive. I have the opportunity to represent myself as a black woman to America, and show them that just because I'm black doesn't mean my search for love has to be any different. There's a lot of brave people that have paved the way for me to even have the opportunity to be the first black "Bachelorette." I'm standing on their shoulders. espnW: How did you process the end of your relationship with Nick Viall? 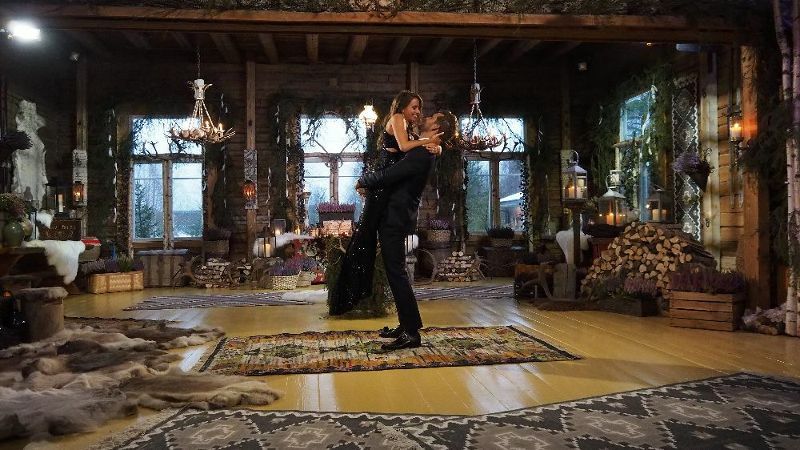 RL: There were three months between the announcement [of me being the lead of the "Bachelorette"] and my time ending with Nick. It was important to immerse myself in my regular life. I went back to work, and spent time with my family and friends. I did all the things that I love to do. It helped that it was football season, and the Cowboys were doing really well. It allowed me to move forward. Also, I learned so much about myself. I learned that maybe if I had opened up a little bit more, it would have worked out for me. espnW: What were you looking for in a partner? RL: Someone who stands out to me in a way I can't explain. I needed that X factor, to feel drawn from within. You can't name that feeling. I was also looking for someone who is confident, self-aware, wants the same things I want and was ready for them. I was looking for a guy with a sense of humor and a guy who can talk sports. I was looking for a guy with integrity, good morals and a big heart. espnW: What can fans expect to see this season? RL: Lots of big personalities, myself included, not just the men who are going to be in the house. You saw a little bit of me during Nick's season, but now you get the whole package. I think that will be interesting for viewers to watch. And these guys have so much energy. I could be exhausted, but I would feed off of the energy of the guys and the personalities they have. They were very open with their feelings and that encouraged me to do the same. They didn't hold back. They shared very intimate and detailed stories with me. They weren't afraid to cry in front of me and I appreciated that. espnW: Switching gears to talk a bit about your career. What kind of law do you practice? RL: I'm a trial attorney and I specialize in defense civil litigation. My firm represents businesses and organizations in whatever aspect they get sued, whether it's commercial litigation, to personal injury, liability, contracts, we litigate for them on their behalf. espnW: What made you decide to go to law school? RL: Well, I was a huge "Matlock" fan as a child. My dad is a judge, but he started off as an attorney. He is one of my biggest role models; both of my parents are. So, from a young age, I said I wanted to be an attorney. My focus changed as I got older. My undergraduate [degree] is in sports management [from the University of Texas], and I went to Marquette [University in Milwaukee, Wisconsin] to study sports law. That was my motivation, but now I'm a trial attorney, and it's where the action is. It's fun. espnW: It sounds like sports is something you're pretty passionate about. What is your sports background? RL: I'm a huge sports fan! Football, basketball, and track are my favorites, but I really enjoy watching all sports. I majored in sports management, and then I worked for an agency and a marketing firm. I actually worked for the university in media relations, interviewing athletes and writing articles for the website. Then, I moved to New York City to do an internship with the NBA, and I worked in the events and attractions department. I thought about just stopping there, but I had this itch to go to law school. So, I thought that if I was going to do that, I would continue on this path and work in sports law. I worked in the sports law program as a research assistant and for the Milwaukee Bucks, and did some compliance work. Now, I'm not doing any of that! espnW: How did you go from such an intense sports focus in your career to the job that you do now? RL: Honestly, it's very hard to find a job in sports. At the level that I had gone, getting a law degree, everyone assumed that I wanted to be an agent, and I did not want to be a sports agent. The number of jobs, especially in management, are so few and far between and the firms that have sports law were hard to get into, so I figured I would perfect my craft and learn the law in other areas as well as I could. That led me to being a trial attorney and doing litigation. espnW: Did you play sports growing up? RL: I did. I ran summer track as a six-year-old, and did it all the way to high school. In high school, I also did basketball. In college, I just didn't have the time or dedication to do it, so I played intramural basketball all throughout college. espnW: Why is your mom a role model for you? RL: My mom is who I strive to be as a wife and as a mother. My mom was a career woman, but she was able to balance it all. She was superwoman. I don't want to stop working, but I don't want to take away from my family. My mom never did that. I don't know how she did it, so I want to be just like her in that regard. espnW: What do you hope people will learn about you over the course of this season? RL: I think you'll get to see the other side of me. You really didn't get to see the emotional or sensitive side of me when I was on Nick's season. You saw me talk to him, and you saw me get emotional when he let me go. But you'll get to learn more about me and the struggles I've had in trying to date and find my happy ending. And not because I couldn't find the guy, but my struggles within and getting to the best version of myself. I think the viewers will really be able to relate to me on that level. 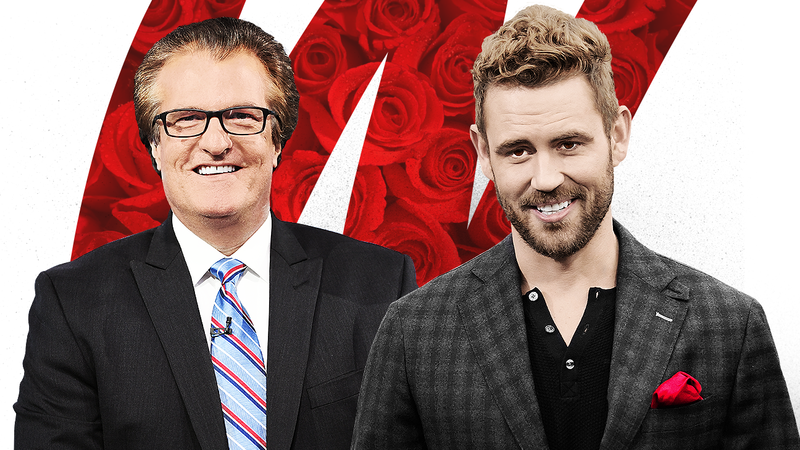 "The Bachelorette" premieres on Monday at 9 p.m. EST on ABC.